Huawei is taking part by presenting the latest solutions for FTTH deployment that will provide as the key to enabling new and fascinating services. Huawei, a leading global information and communications technology (ICT) solutions provider announced its sponsorship of the 3rd annual 'Fiber-to-the-home' FTTH Mena Conference that will be held in Sharm El Sheikh, for the duration of 2 days starting November 30th till 1st of December. Huawei sponsoring such a big event came with an aim to support the Egyptian community both economically & technologically. Following the theme for the FTTH conference this year, "Leading the new Generation", Huawei is taking part by presenting the latest solutions for FTTH deployment that will provide as the key to enabling new and fascinating services and applications to the end customer. FTTH will make applications such as IPTV, Video entertainment, gaming, tele-working and e-learning more feasible. The FTTH MENA conference will witness the attendance of many senior telecom professionals coming from across the MENA region. Regulators will also be present with an objective of encouraging, promoting and developing the telecommunication and information industries in their respective nations. The encouragement of investors and governments to invest in public and private sectors will come with an aim to optimize business models & services and mitigate investment risks. "Generation 'C' or the 'connected' generation is the future generation that is known to be always connected, communicating, content-centric, computerized and community-oriented. Technology is so woven into their lives that the introduction of FTTH would only be the right solution to stay up to date with their increasing requirements." Said Rao Xiaobo, Country Manager, Huawei Egypt. industry associations, independent consultants and the major players from the industry. Industry analysts will be available presenting a complete overview of the worldwide markets for FTTH and examine the situation in the MENA region. Opportunities and outlook for fiber deployments in the region over the next few years will be discussed as well. 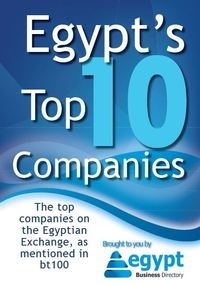 "We are very happy such an event is taking place in Egypt for the first time, promoting regional business tourism & providing economical support. At this 2 day event, we aim at displaying a wide variety of FTTH deployment solutions to public and private sector investors leading to technological advancement in Egypt and the MENA region." Added Mr. Xiaobo. FTTH MENA conference is taking part for 2 days and Huawei is determined to provide the latest in FTTH deployment solutions and support the technological & economical advancement to the Egyptian Information Technology market.